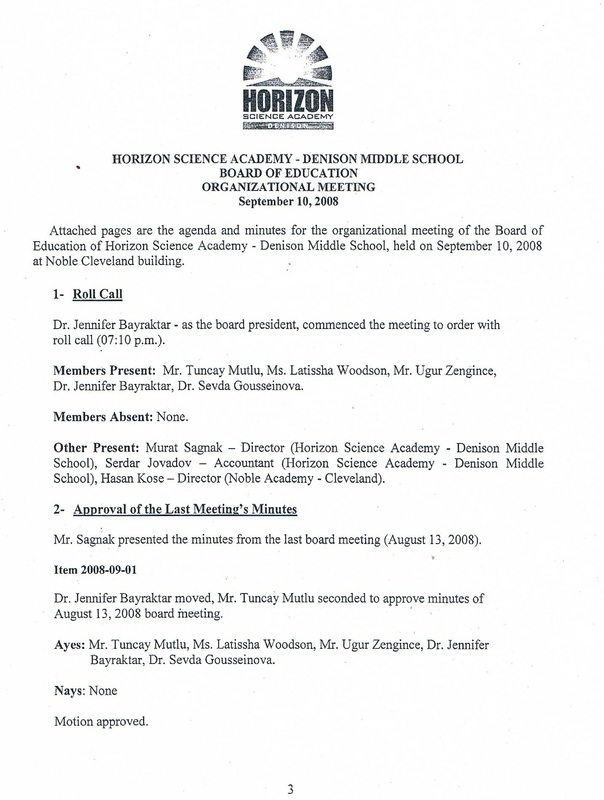 Adding Insult to Injury - CHARTER SCHOOL WATCHDOG http://www.charterschoolwatchdog. 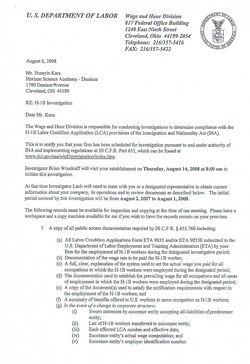 In August 2008, the Department of Labor started an investigation into the "goings on" at Horizon Denison Middle School, and more specifically with the H1-B visa holders working at the school. By the way -- the investigation is still going on -- so the government must be thoroughly investigating (at least let's hope that's the reason it has taken so long). 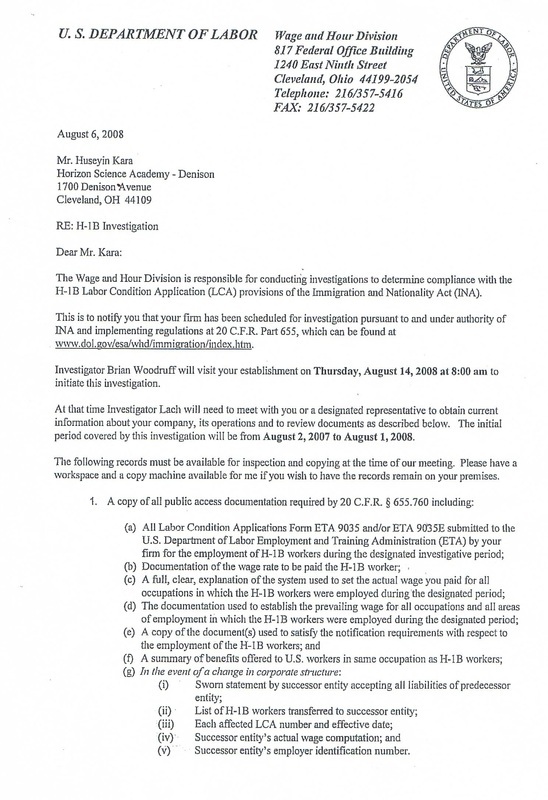 We have a copy of the letter that the DOL sent to Husyein Kara who at the time was the Director of Concept Schools (the "management" company for Horizon). 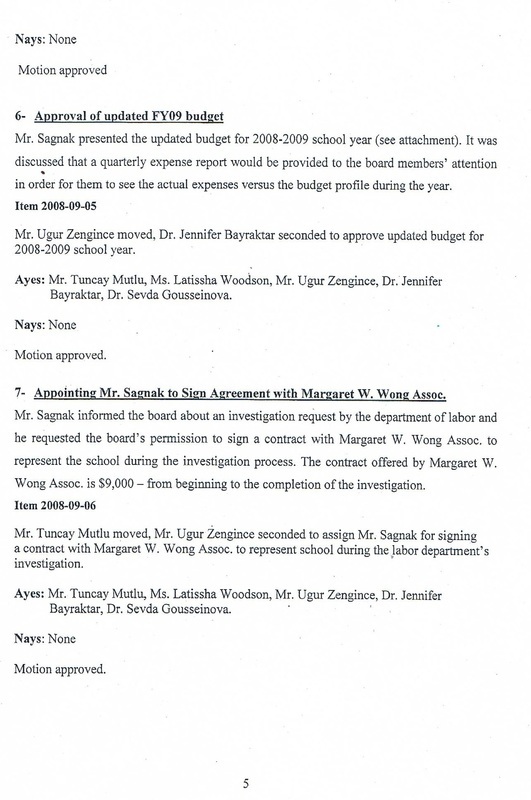 And in September, 2008, the Board held a meeting in which Sagnak asked for, and was given, $9,000.00 to pay for an attorney -- Wong -- who was helping Dension with the Department of Labor "investigation" (see item #7 in the minutes). 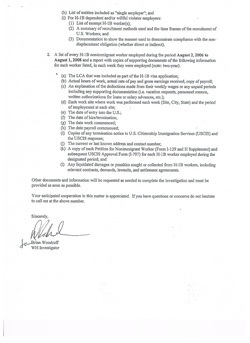 Now we know that the $9,000.00 must have been a drop in the bucket -- especially since the investigation is still ongoing. 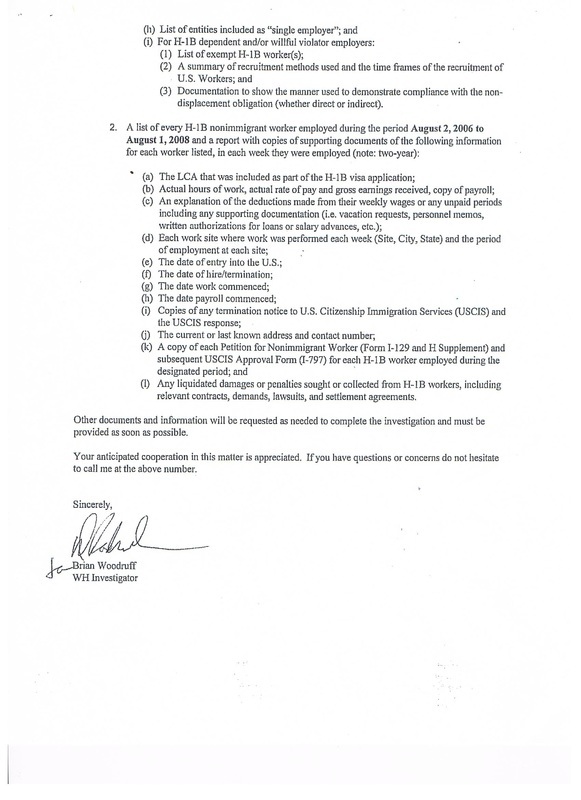 To summarize: The boys are probably (not certain until the final report comes out), doing some not so legal maneuvers, and in addition to paying for their H1-B visa and green card fees, and graduate degrees, the taxpayers are now paying for their legal fees. 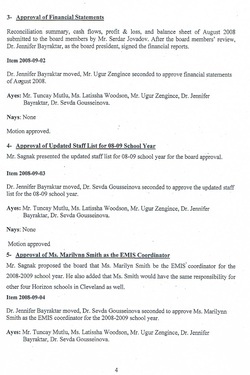 But under Item # 8, in the same Board minutes, Sagnak is asking for the Board to approve $9,000.00 for the 2008-09 school year to pay for counseling services for the IEP kids, providing counseling 1 day a week. 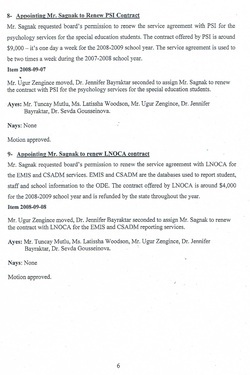 Sagnak mentions that the previous school year that the $9,000.00 provided counseling twice a week. Okay -- clearly the DOL related legal fees are an entirely different animal than counseling fees, but here's our take on it. 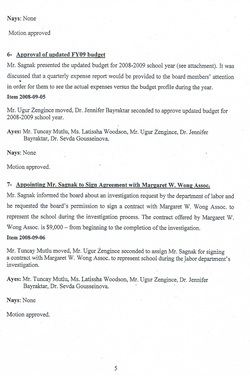 If Sagnak and his cronies were not breaking laws to begin with, then the extra $9.000.00 that they were throwing at the lawyer to defend them could instead be used to add extra counseling time for the IEP (special education needs). We are of the mind that when you are running a school, that the kids -- whose parents are paying your salary -- should be the priority and the funding allocated accordingly. 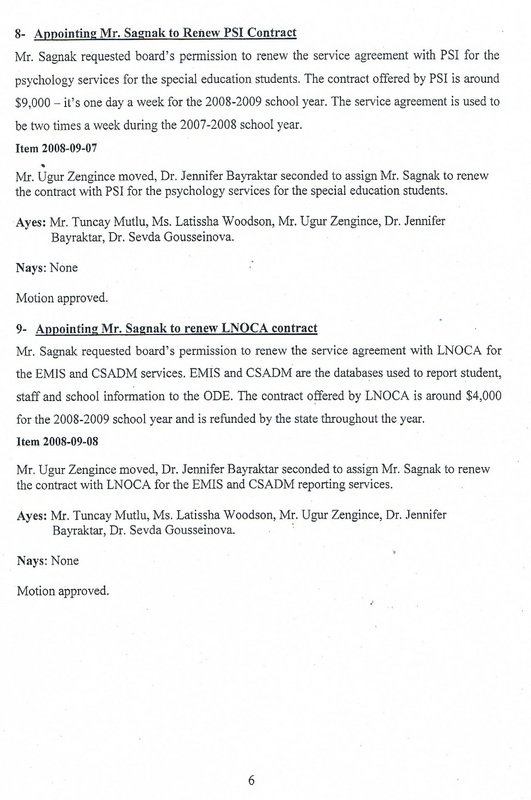 If the Turkish guys want to continue to skirt the law -- why do the American taxpayers have to pay for it? 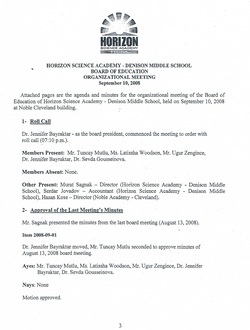 We sure do wish that some of the parents and teachers would go to their Board meetings once in a while -- or how about the press for that matter. Or better yet, maybe some of the representatives from the "sponsoring schools" could show up, instead of just collecting that 2% fee -- with no questions asked.